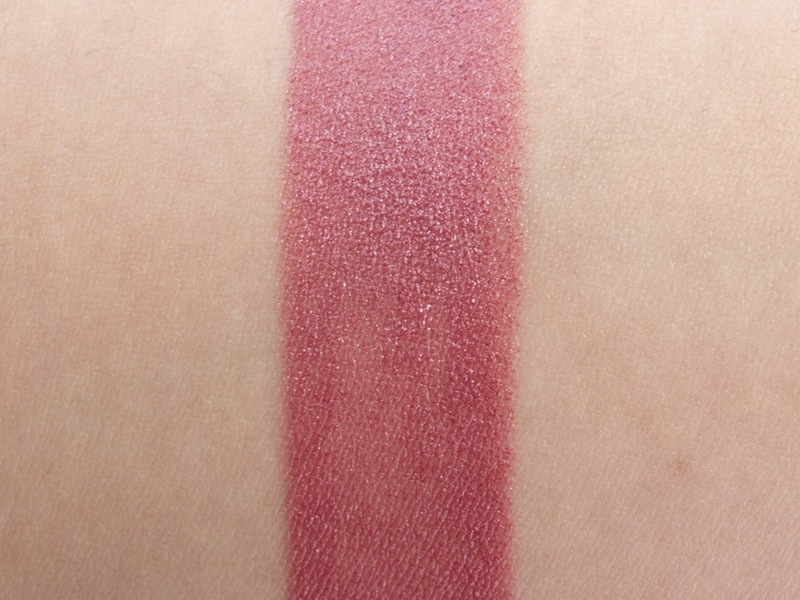 First up is one of my favorite Maybelline Color Tattoo Eyeshadow in "Pomegranate Punk". The shade looks very similar to Marsala in the pot but when applied it comes off slightly more brownish with tons of gorgeous gold shimmers. I think this is a great play on the Marsala red if you aren't too daring with using red on the eyes. 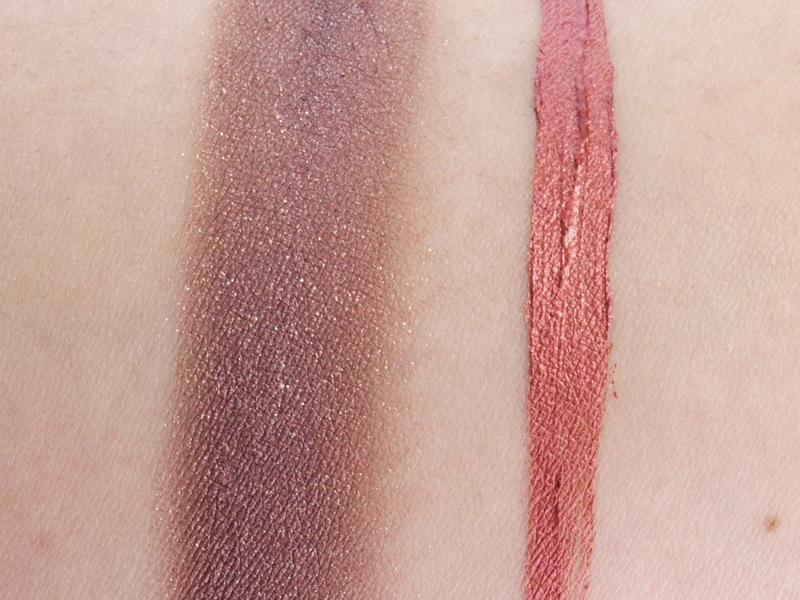 The second product is the Sephora + Pantone Universe Metalshine Liner in "Marsala". This is a metallic liquid liner with the most amazing pigmentation and wear. This liner is definitely eye catching, it adds such pop of color to the eyes. Left: Maybelline Color Tattoo Eyeshadow in "Pomegranate Punk"
The two lip colors I used to create a Marsala look is the Maybelline Lip Liner Pencil in "Mocha", which is quite a spot-on Marsala shade. The formulation is a tad try but it is pigmented and long lasting. 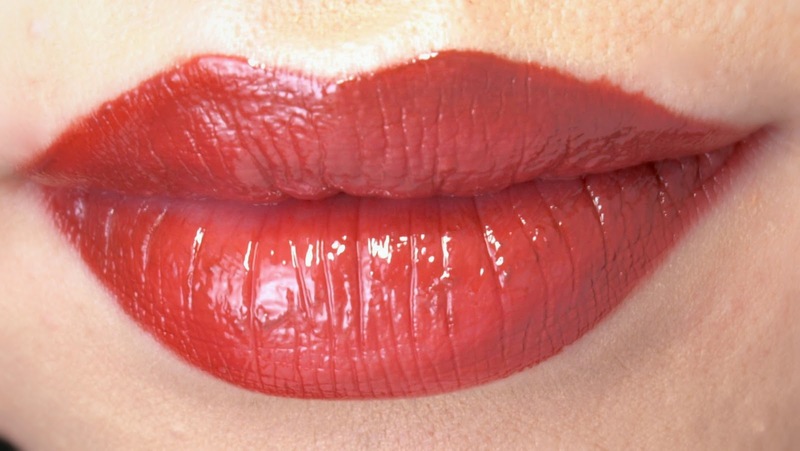 I applied it all over my lips and topped it with the Marsala Lip Crayon from the Sephora + Pantone Marsala Lip Layering Collection. The two made a really great duo! Left: Sephora + Pantone Universe Lip Crayon in "Marsala"
Right: Maybelline lip pencil in "Mocha"
For the cheeks, a great cooler variation of Marsala is the Maybelline Master Glaze Blush Stick in "Make A Mauve". This is a gorgeous plummy mauve with subtle silver shimmers. 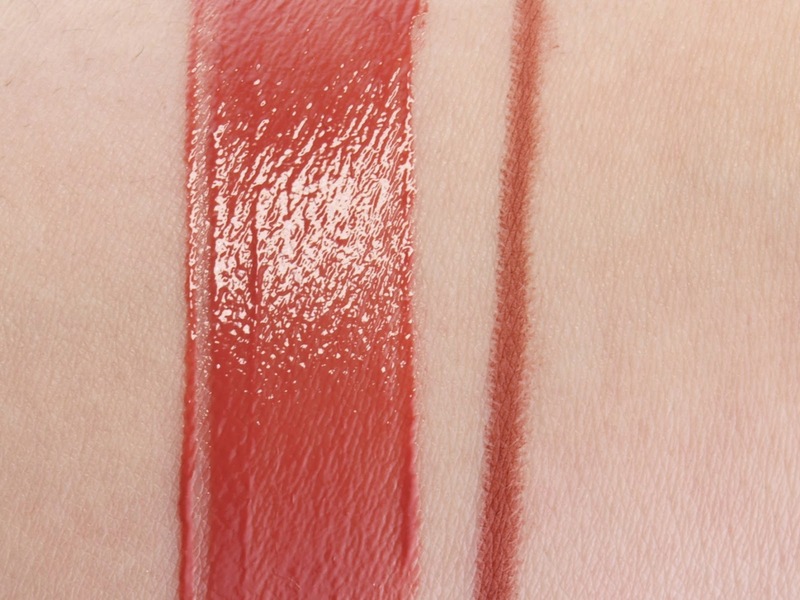 The formulation is creamy and pigmented, as evident in the swatch below. 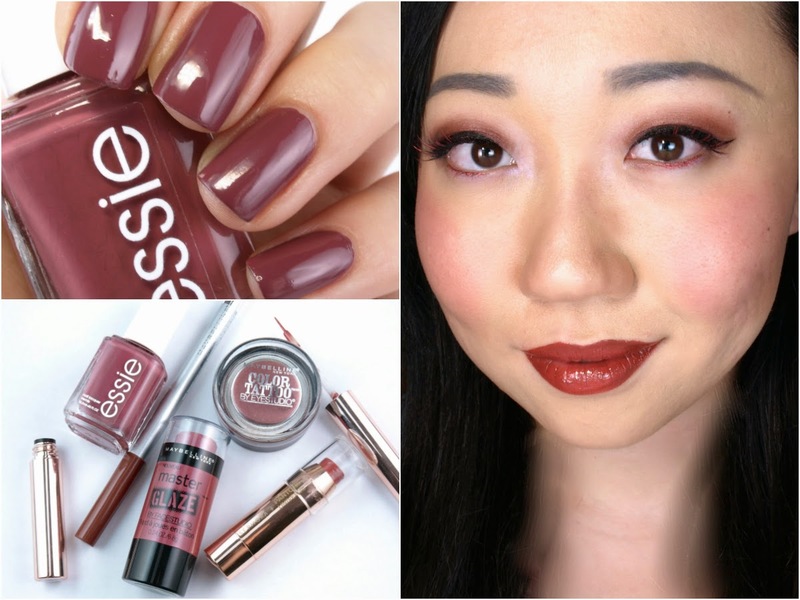 Lastly, to finish the Marsala look is a gorgeous mauve-y wine red from Essie called "Angora Cardi". The formulation is very pigmented and the drying time is delightly quick. So that's a small roundup of some of the Marsala shades I can think of. I think there still are lots of undiscovered Marsala gems in my collection so I may do another post as I really, really love this color of the year. Are you embracing Marsala? 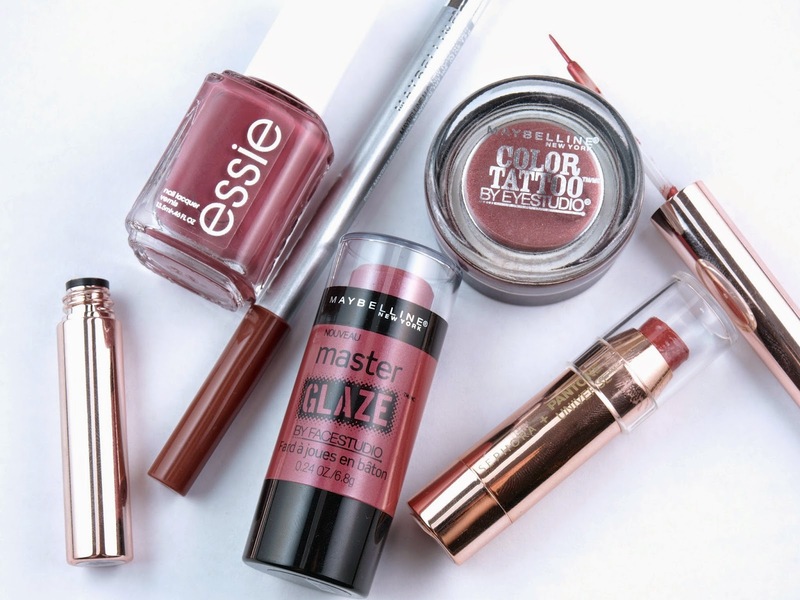 What's your favorite Marsala-colored product? Share with me in the comments below!